Here is the recipe for Yogi Tea. It is good for the blood, the colon, nervous system and bones. 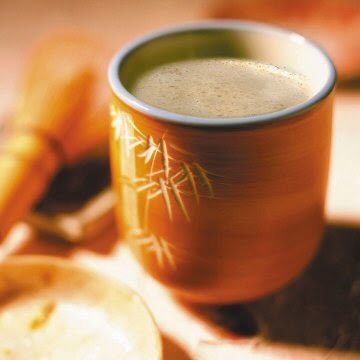 It is also good for colds, the flu, and physical weakness. I HIGHLY recommend Yogi Tea during the winter, keeps me warm internally and keeps S.A.D, Seasonal Affect Disorder, from setting in. Make it a part of your morning rituals. You wont regret it! Bring water to a boil. Add the spices. Cover and continue boiling for 10-15 min. Remove from heat. Add black tea. Let steep for 1-2 minutes. Add honey and milk. Bring to a boil. Remove from heat. Strain and bottoms up! And now you can begin your tea or coffee rituals with Rhythm & Breath with our new snazzy Warrior Healer's Mug! with springtime and new beginnings. The Kriya our virtual meditation group is doing for 40 days is called Longevity Kriya. It is said to change the molecular structure of the body when done for 40 days. It is ONLY to be done for 9 minutes. Like with every session, we begin by chanting "Ong Na Mo Guru Dev Na Mo" which means I bow the infinite wisdom within. This is chanted 3 times. If you can do it on one breath, AWESOME! If not, do it on two breaths. Sipping in air, in between the first MO and GURU. Arms are held at a 60 degree angle, right arm up (palm down) left arm down (palm up). There are 3 different mudras, each done for 3 minutes. The first is Jupiter finger pointing with other fingers locked down with the thumb. Done for 3 min. Long deep breathing with the inner focus on the center of the chin. The second mudra, the mercury finger (pinky) extends. Therefore Jupiter and Mercury fingers are extended while the other fingers are held. ROCK ON for 3 min! Continue with long deep breathing. Last mudra, is all fingers extended palm flat. Done for 3 min. The whole time your left arm to the back with palm up stays in the same position. The inner focus is on the center of the chin which is the moon center. Eyes are closed and rolled down. Meditating on this is point gives a cooling and calming effect. You see yourself clearly when you focus here. Breathing is long, continuous deep breathing. Use the breath as your body goes through its changes. The discomfort your body feels is part of the healing process stimulating points in your body that are blocked to open energy channels. There is no mantra in the kriya. If you feel that your mind is wandering too much you, try focusing on the breath and the sound of your breath can be your mantra. Or, meditate on Sat Nam (truth is my identity) or create your own mantra by creating an incantation of what you are bringing "NEW LIFE" into. But mentally vibrate it, there is no sound. Just the sound of your breath. TO end, hold the breath for 10 counts and stretch the arms. Hold the breath and the position. You repeat this two more times. Send this to whoever you believe can benefit from it. It is a blessing. I usually send it to my family and the meditation group, unless there is a particular person suffering, I send it to them. And finally close out with 3 long Sat Nams. Chanted on one continuous breath. Sat Nam means Truth is God's Name/Truth is my identity.